Can you BELIEVE Obama hasn't sent money to this guy? .. IDIOT! .. Even funnier than the picture is that the top and bottom comments are practically the same. 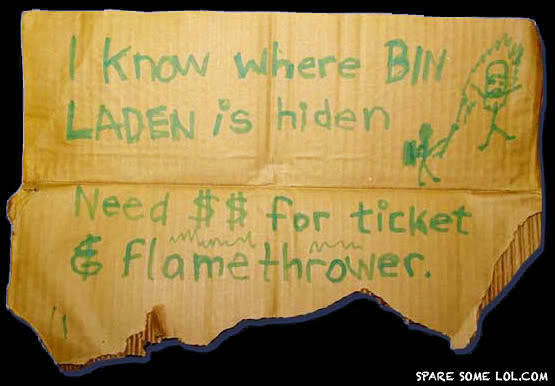 It's funny because Osama is dead.